Slotting has never been faster, easier, and more accurateIf you’ve ever struggled with inserts coming loose during a slotting operation, keep reading. 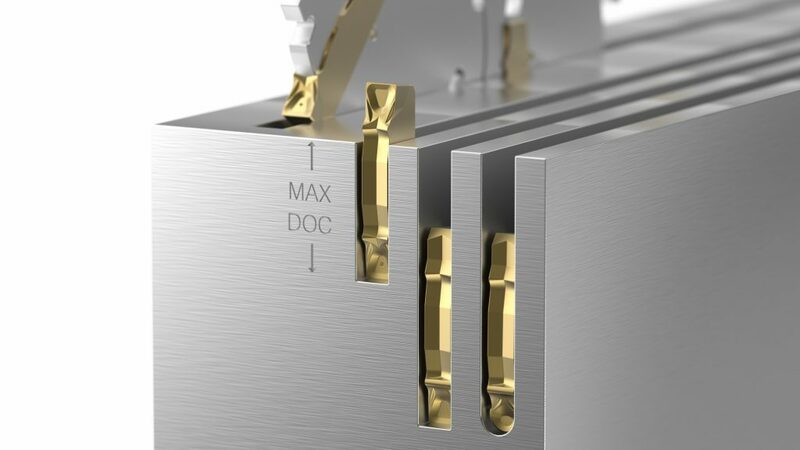 How about inconsistent slot widths, fumbling with awkward screws and inserts on a slotting cutter, or having to use a piece of shim stock to pry wedged chips from deep inside a slotted workpiece? These are just a few of the problems machinists face when trying to cut narrow slots and grooves, but thanks to the newly introduced Kennametal Narrow Slotting (KNS) cutter, the days of “slotting dread” are over. Slotting is a common machining practice. Scott Etling, Kennametal´s Director of Global Product Management for indexable milling, lists many applications where the KNS excels. Automakers can use the new cutter to separate cast exhaust manifolds and steering components. Equipment manufacturers can cost-effectively mill the clamping slots on shaft supports and stock collars. 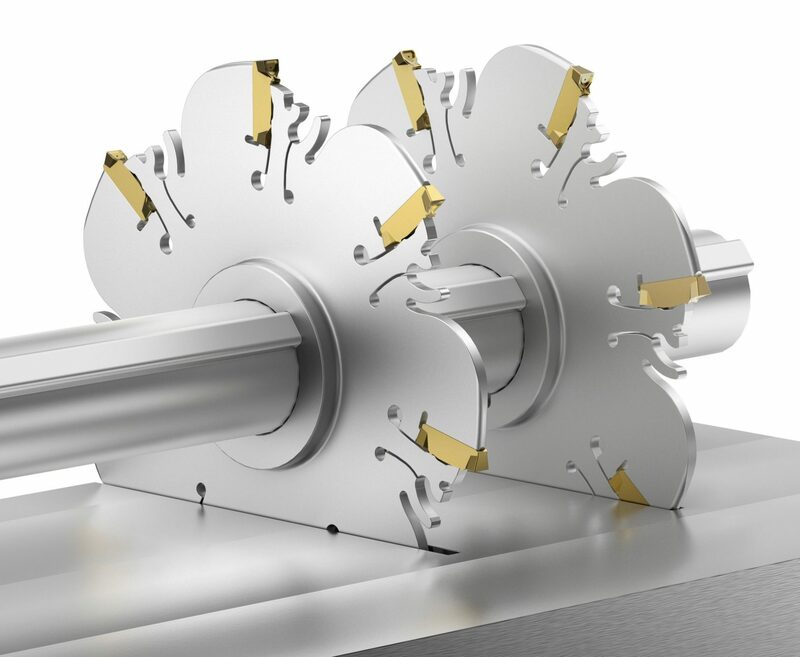 Power generation and electronics companies now have a more productive way to machine keyways, add heatsink grooves, yokes, and O-ring grooves. Simply put, if there’s narrow slotting, grooving, or parting to be done, KNS is the new go-to solution. The KNS boasts a simple but secure Double-V to accurately locate inserts. There´s no chance of movement as there is with other kinds of slotting and grooving cutters. Tool life improves, as does part quality. These features already give Kennametal a substantial lead over the competition in the narrow slotting market, but the benefits don´t stop there. There´s also the carbide. Tim Marshall, senior global product manager for indexable milling notes that Kennametal has made significant improvements in grade technology recently, and that the KNS leverages these developments. Besides inserts for deep slots with flat bottom and radiused bottom. 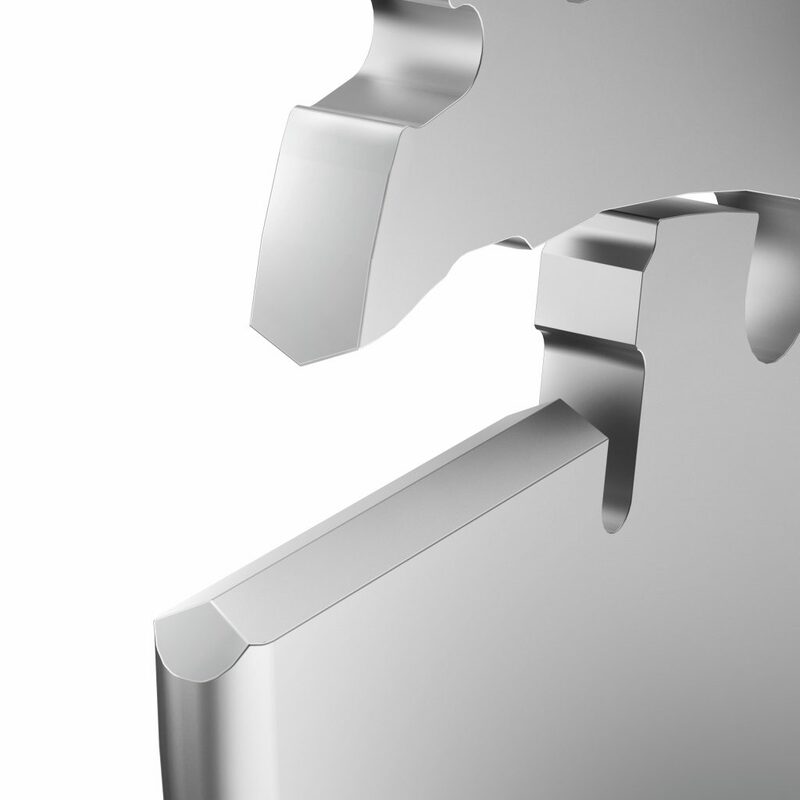 For shallows slots, KNS offers a very cost effective solution with double ended inserts (2 cutting edges). Good carbide is important, but so too is the insert geometry. Thanks to a positive rake geometry and special edge preparation, the KNS inserts are free cutting without sacrificing the edge toughness needed in most slotting applications. What´s more, the SGP geometry promotes excellent chip flow, curling even the stringiest materials into tight, easily-evacuated Cs and 9s. This means you can put the shim stock and home-made chip hooks back in your toolbox. The KNS system´s dual keyways provide staggered entry in gang milling situations, reducing cutting forces. And the integral hub is both more accurate and rigid than competing systems. The KNS is also easy to use. The innovative, symmetrical Easy-X wrench design means no more digging in the chip pan for lost screws and inserts, no more wedges or clamps to misplace—just pop the wrench into the cutter body, give it a twist, and the insert is easily replaced, even in tight quarters. Each cutter body and wrench are also clearly marked, so there is no chance of damaging the cutter body by using the wrong tool. Last but not least the integral hub design. This eliminates the need for drive rings and washers, and greatly contributes to the system´s repeatability and accuracy. 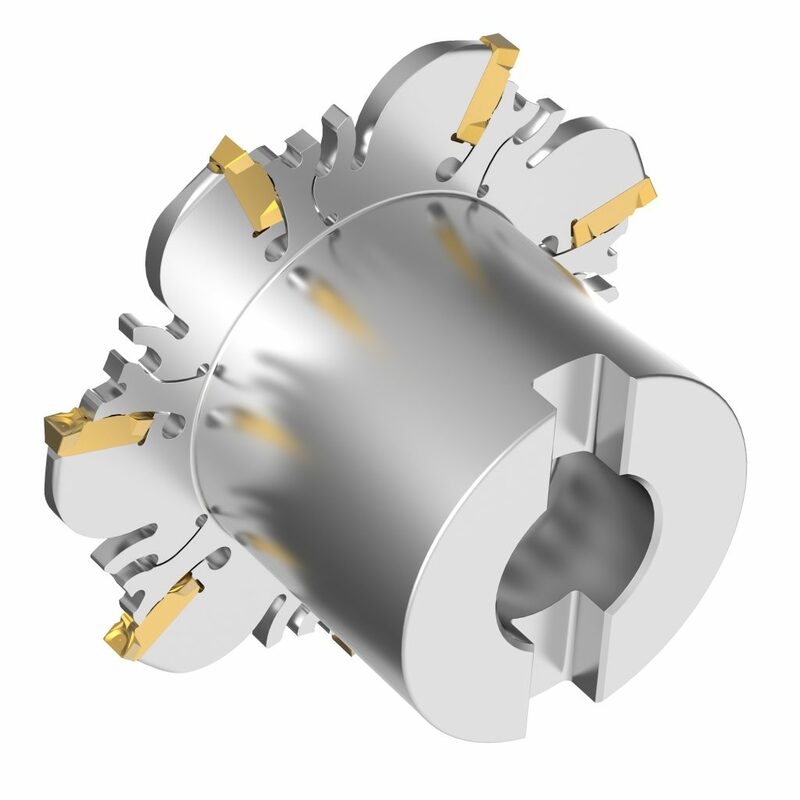 And because the hub has dual keyways, the cutters can be staggered in gang-milling scenarios, reducing cutting forces and generating a smooth cutting action. Celebrating its 80th year as an industrial technology leader, Kennametal Inc. delivers productivity to customers through materials science, tooling and wear-resistant solutions. Customers across aerospace, earthworks, energy, general engineering and transportation turn to Kennametal to help them manufacture with precision and efficiency. Every day approximately 11,000 employees are helping customers in more than 60 countries stay competitive. Kennametal generated nearly $2.1 billion in revenues in fiscal 2017.